6) Gross dit Pfersfelder – Écartelé aux 1 et 4 à un serpent de sinople posé en pal la queue remontante et nouée tenant entre ses dents une rose de gueules tigée et feuillée de sinople aux 2 et 3 d’azur à une patte d’ours au naturel coupée de gueules posée en fasce acc de trois étoiles d’or. English: Quarterly 1st and 4th with a snake vert placed palewise the tail raised and knotted holding between its teeth a rose gules stemmed and leaved vert 2nd and 3rd azure with a claw of a bear proper per fess gules placed fesswise accompanied by three etoile or. 7) Gross dit von Schwarzhoff – Prusse – Écartelé aux 1 et 4 d’argent à deux collines accostées de sinople mouv de la pointe sommées chacune d’une plante de mûre sauvage fruitée au naturel aux 2 et 3 d’azur à une représentation du château de Heidelberg au naturel sur une colline de sinople et sur le devant une rivière d’argent Sur le tout d’argent à une rose de gueules tigée et feuillée de sinople Casque couronné Cimier la rose tigée et feuillée du surtout entre deux branches de mûre sauvage courbées les sommets passés en sautoir Lambrequin d’argent de gueules et d’azur. English: Quarterly 1st and 4th argent two hills side by side vert coming from the base surmounted by each a wild blackberry bush fructed proper 2nd and 3rd azure with a representation of the castle of Heidelberg proper over a hill vert and in front a river argent on an escutcheon argent a rose gules stemmed and leaved vert Crowned with a helmet Crest: the rose stemmed and leaved of above between two branch of wild blackberry curved the tips placed saltirewise Mantling: argent gules and azure. 8) Gross de Milwaldt – Parti d’argent et d’azur à la fasce de gueules brochant sur le parti Cimier deux proboscides d’argent et d’azur ch chacune d’une fasce de gueules chaque proboscide ornée à l’extérieur de quatre plumes d’autruche d’argent dont une dans l’embouchure Lambrequin d’argent et d’azur. English: Per pale argent and azure a fess gules covering over the per pale Crest: two proboscides argent and azure charged with each a fess gules each proboscides decorated on the outside of four ostrich feathers argent which are in the mouthpiece Mantling: argent and azure. 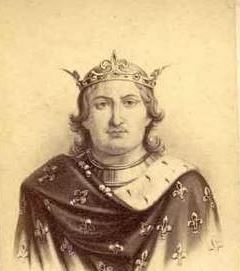 9) Gross de Trockau – (Barons) – Bavière – Parti au 1 d’argent à un sauvage de carnation ceint et couronné de lierre tenant de sa main dextre un arbre arraché au naturel au 2 d’or à l’aigle de sable Casque couronné Cimier deux épées d’argent garnies d’or passées en sautoir Lambrequin à dextre d’or et de sable à senestre d’argent et de gueules. English: Per pale 1st argent with a savage carnation belted and crowned with ivy holding in his dexter hand a tree eradicated proper 2nd or with an eagle sable Crowned with a helmet Crest: two sword argent hilt and pommell or placed saltirewise Mantling: to the dexter or and sable to the sinister argent and gules. 10) Gross de Wald – Bohême – (An., 20 oct. 1652) – Écartelé d’argent et de sinople Cimier un chapeau piramidal aux armes de l’écu retroussé d’un parti d’argent et de sinople. English: Quarterly argent and vert Crest: a pointed hat with the arms of of the shield turned up a per pale argent and vert. 11) Saxe – D’or à une piramide d’argent sur un piédestal du même posé sur une terrasse de sinople à un bourdon de pèlerin de sable posé en bande brochant sur la piramide Casque couronné Cimier un bourdon de pèlerin de sable posé en pal entre un vol de sable Lambrequin d’or et de sable. English: Or with a pyramid argent on an pedestal of the same placed on a mount vert with a staff of a pilgrim sable placed bendwise covering over the pyramid Crowned with a helmet Crest: a staff of a pilgrim sable placed palewise between a pair of wings sable Mantling: or and sable. The surname of Grose was very well known in Germany in the 16th and 17th centuries. 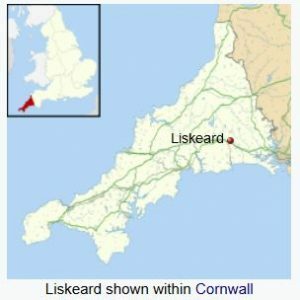 The family was originally from the area of Liskeard but later moved to Camborne and Budock where they lived and flourished for five generations. In Old French Grose means gros, large, fat, big, as to stature. In German Grose means the large or fat person and was used by Jewish families as the equivalent of Gedaliah. Isaac Gross, immigrant ancestor, was doubtless born in Cornwall, England. With him or soon afterward came his brother Edmund Gross, a seafaring man, who was a proprietor of Boston as early as 1639, and was admitted to the Boston Church March 22, 1645, with his wife Katharine. As all of the colonial families of Gross are descended from these brothers, the names of Edmund’s children, born in Boston are here given: Isaac born October 1, 1642; Susanna born August 1644 baptized with Isaac March 23, 1645; Hannah baptized August 15, 1647, aged three days; Lydia baptized March 10, 1650, aged about four days; Mary born September 9, 1652; John born April 21, 1655. Edmund’s will was proved May 3, 1665, bequeathing to wife, son Isaac and daughter Susanna and three other children. Isaac Gross also settled in Boston. The early records have his name spelled Groce, Grose, Grosse, and Growse. He was a brewer by trade, but appears to have followed husbandry in this country. He was admitted to the Boston Church, April 17, 1636, but followed the Wheelwright secession during the religious controversy at Boston, and was dismissed from the Boston Church to Exeter, January 6, 1638. He returned to Boston. In 1636 he had a grant of land in “a great allotment of land at Muddy River” (now Brookline). He probably bought property from England, for when he died he left one of the largest estates of his time. His will was proved at Boston, June 5, 1649, and he probably died in the preceding month. He bequeathed to his wife, to children, Edmund, Clement and Mathew Gross; to grandchildren Isaac, Hannah and Susannah Gross; Mr. John Cotton, the minister, Mr. Phileemon Pormort et al. His widow Ann, married August 15, 1658, Samuel Sheere or Shears of Dedham. Clement, son of Isaac Gross was born 1625-30 in England, and came to this country with his father. He was also a brewer by trade. He married 1st Mary; 2nd Ann. He lived in Boston. Children of his first wife: Simon, mentioned below; Isaac, a cordwainer; Mathew. Child of second wife: Edmund, born at Boston, September 27, 1669. Simon, son of Clement Gross, was born in Boston, about 1650, died at Hingham, April 26, 1696. He settled as early as 1675 in Hingham and married there, October 23, 1675. Mary, daughter of John Bond, born December 16, 1657. He was a boatman. His home was on Scituate street, Hingham. His widow administered his estate, which was valued at one hundred and ninety-eight pounds, five shillings, three pence. Children born at Hingham: Simon, August 11, 1676; Thomas, mentioned below; John April 3, 1681; Jonah August 2, 1683; Micah February 20, 1685-86; Alice, April 26, 1689, married John Cromwell of Truro; Abigail, June 28, 1692, married Nathaniel Smith of Eastham. Thomas son of Simon Gross, was born at Hingham, February 4, 1677-78. He resided at Hingham and Eastham, Massachusetts. He married (first) at Hingham, December 29, 1705. Elizabeth, daughter of John Hincks, of Portsmouth, New Hampshire. She died at Hingham, June 7, 1708 and he married (second) October 13, 1709. Experience Freeman. She was a daughter of Lieutenant Edmund (b. June 1657) and Sarah (Mayo) Freeman, and granddaughter of Major John (b. 1627) and Mercy (Prence) Freeman, married February 13, 1649-50. Mercy Prence was a daughter of Governor Prence and granddaughter of Elder William Brewster of the “Mayflower”. She was descended also from Edmund Freeman the pioneer and Rev. John Mayo, the minister. Child of Thomas Gross and his first wife: Hincks, born June 7, 1708, ancestor of a prominent Cape Cod family. Children of second wife: Freeman, mentioned below; Sarah born November 27, 1713 at Hingham; Elizabeth June 5, 1716; Thomas October 9, 1718. Freeman son of Thomas Gross, was born at Eastham, or Truro, about 1710-11, died in 1742. He came to Hartford probably to join his two uncles who had previously removed to Hartford from Hingham, Massachusetts, to wit. Jonah, who had arrived in 1708 and John about 1710. He was admitted to the First Church, Hartford, October 15, 1732. He married Susannah Bunce, and had several children, among them Thomas. Thomas(2) of Hartford son of Freeman Gross was born in 1738, died August 26, 1773. On May 1, 1762 he married Huldah born January 14, 1745, died January 1836, daughter of Richard Seymour, a descendant of Richard Seymour an original proprietor in Hartford in 1639. After the death of her husband, she removed with her children to Litchfield, and subsequently married Ashbel Catlin and removed with him to Shoreham, Vermont. She is buried at Crown Point, New York. Thomas Gross and Huldah his wife left three children, one a son, Thomas Freeman. Thomas Freeman(3), son of Thomas Gross(2) was born in Hartford, November 30, 1772, died at Litchfield March 3, 1846 whither he had removed with his mother. In 1793 he married Lydia daughter of John Mason, born April 14, 1773, died July 23, 1864. Mason, son of Thomas Freeman Gross, was born in Litchfield, Connecticut in 1809, died in Hartford in March 1864. At the age of seventeen he went to Hartford and became a successful wool merchant there. 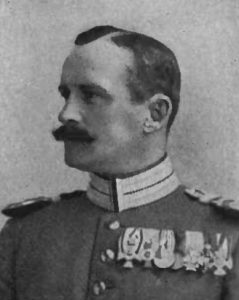 For several years he was captain of the Light Infantry. He married 1832, Cornelia, daughter of John Jr. and Sally (Robbins) Barnard of Hartford, granddaughter of Captain John Barnard, a soldier in the early French wars and also all through the revolution, being present at the surrender of Cornwallis, and being one of the founders of the Society of the Cincinnati. Children: John Mason, William H., Cornelia E. died in infancy, Cornelia J., Sarah A. married in 1865, Seth E., Thomas, and Charles E. Charles Edward, son of Mason Gross, was born in Hartford, August 18, 1847. He attended the public schools of Hartford, and graduated from Yale University in 1869. While in college he was a member of Alpha Delta Phi, and was one of the leading members of the Phi Beta Kappa fraternity. The first year after leaving college he taught in Hall’s school at Ellington. In 1870 he returned to Hartford and took up the study of law under Hon. Charles J. Hoadley, the state librarian, and later in the office of Waldo, Hubbard & Hyde. In September 1872, he was admitted to the bar of Hartford county, and remained as a clerk with Waldo, Hubbard & Hyde. Four years later in January 1877, he was admitted a member of the firm. On the death of Judge Waldo in 1881, the firms name was changed to Hubbard, Hyde & Gross, and after Governor Hubbard’s death in 1884 it became Hyde & Gross & Hyde. Later after the death of Hon. Alvan P. Hyde, it became Gross, Hyde & Shipman, which it still remains, the partners now being Charles E. Gross, William Waldo Hyde, Arthur L. Shipman, Charles Welles Gross and Alvan Waldo Hyde, all graduates of Yale. Mr. Gross has had a very large practice as an insurance and corporation lawyer, with few equals in the state, and has gained an enviable reputation for his skillful handling of the many important cases which he has conducted. He stands among the first in the state in his profession. He is a director in the Aetna Insurance Company and has been a director of the Phoenix Mutual Life Insurance Company since its reorganization in 1889. In 1893 he was chose a director of the New York & New England Railroad Company. He is vice-president of the Society of Savings, the largest institution of the kind in Connecticut. He has been since 1898 the president of Holyoke Water Power Company which controls the dam across the Connecticut river at Holyoke, Massachusetts. For a number of years he represented Mrs. Samuel Colt on the board of directors of the Colts Patent Fire Arms Manufacturing Company and has been an active director in many other corporation. He is the vice-president of the Wadsworth Atheneum which has charge of the beautiful Morgan Memorial, erected by Mr. J. Pierpont Morgan in memory of his father. Mr. Gross has been president of the Yale Alumni Association of Hartford. He is a member of the Cincinnati and of many of the patriotic societies, having been governor of two. For many years he has been vice-president of the Hartford Bar Association. For sixteen years he has been a park commissioner of Hartford and twice president of the board. He was one of the organizers of the Hartford Board of Trade and has been a member of it’s board of directors since its organization and was for several years it’s president. In 1885 he became secretary of a committee of twenty appointed to arouse the public interest to the importance of action on the license and other public questions, and no man on the committee did more work or showed greater interest in the work than he. In 1891 he was one of a special committee of five, appointed by the town, under Professor John J. McCook as chairman, on outdoor alms. It was found that the United States led the world as to expense per capita on outdoor alms giving, that Connecticut led the states, and that Hartford led Connecticut. Mr. Gross attended to the legal questions and bearings of the case in the report of the committee and did efficient work. The report created a sensation in the city and state, and was the direct means of stopping abuses. It has since been introduced into several colleges as a text book on charitable work, on account of it’s great statistical value. Mr. Gross was the first president of the City Club, created for municipal reform. In all his work Mr. Gross has the best interests of the city at heart. The Hartford Courant speaks as follows of the important service rendered by him to the medical practitioners of Connecticut: “The active struggle before the last legislature over the Medical Practice Act is still remembered all over the state, as is the fact brought out at the hearing that Charles E. Gross, who so ably managed the ease for the Connecticut Medical Society, declined to accept any fee for his services. The doctors, however, have taken another way to testify their appreciation of his assistance, and yesterday the society, through its officers, presented him with a unique and very choice testimonial. It is in the shape of a beautiful hand-made volume, bound in white morocco, and enclosed in a rich silk case. The book, on opening is found to consist of a number of parchment pages on which are exquisitely engrossed the resolutions of thanks passed by the society. The illuminated lettering in colors is worthy of the old monks, and the whole work is noticeably beautiful *** The resolutions which were printed in the volume are as follows: In recognition of the distinguished service rendered to the people of Connecticut by Charles E. Gross, Esq., in connection with the recent passage of the Medical Practice Bill by the legislature, and in view of the fact that this service has included many scores of conferences with the members of the committee which represented this society in securing such legislation, the drafting of the bill and subsequent modifications of it: the presentation of the most cogent of arguments in favor of its enactment: which latter has covered some years and all of which has been done without compensation, and often with great personal inconvenience and sacrifice of business interests, and with such devotion to the welfare of all concerned as to render it almost if not quite unique in character; therefore, “Resolved: That the Connecticut Medical Society hereby expresses its high appreciation of these services of Mr. Gross, and begs to extend to him in behalf of its members and its constituency its thanks and congratulations, that this resolution be spread upon the records of the society, and that a copy be suitably engrossed for presentation to him.” He married October 5, 1875 to Ellen C. daughter of Calvin and Clarissa M. (Root) Spencer of Hartford. Children: 1) Charles Wellses who in 1905 married Miss Hilda Welch of New Haven and has one child, Spencer Gross. 2) William Spencer who died in 1882 and 3) Helen Clarissa.